Houston artist Bob Russell got the inspiration for his new series of drawings from the Menil Collection’s blockbuster 2007 Robert Rauschenberg exhibition “Cardboards and Related Pieces.” Focusing on Rauschenberg’s little-known experiments with cardboard in the early-’70s, the exhibition was significant enough to merit a rare appearance by the ailing Rauschenberg, who, despite being confined to a wheelchair, spoke and answered questions from a large crowd in the Menil Collection foyer—one of the artist’s final public appearances before dying in 2008. Russell remembers a moment when Rauschenberg’s wheelchair nearly rolled off the back of the stage, but was saved at the last minute by an attentive audience member. Russell’s new show opens tomorrow at the Jung Center, with a gallery reception on Saturday. 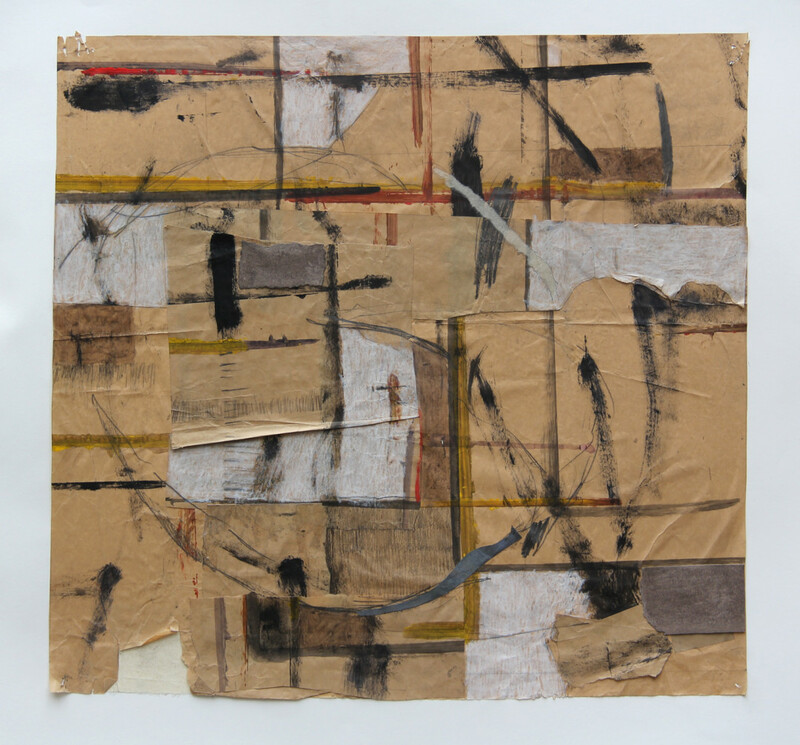 Like Rauschenberg, Russell decided to work with material that is usually discarded—in Russell’s case, the protective brown paper he had pinned to his walls while painting his house recently. Russell painted and drew directly on the punctured, paint-splattered paper, and the result is works that combine the rawness of outsider art with the energy of abstract expressionism. Even though the Jung Center is hosting the show, Russell disclaims any connection between his work and psychoanalysis. He did, however, once have the chance to read through the correspondence of Carl Jung and Forrest Bess—the Bay City painter whose works are currently on exhibition at the Menil Collection—while writing his master’s thesis at the University of Houston. “I read a lot of it, and found it to be very interesting,” Russell says.